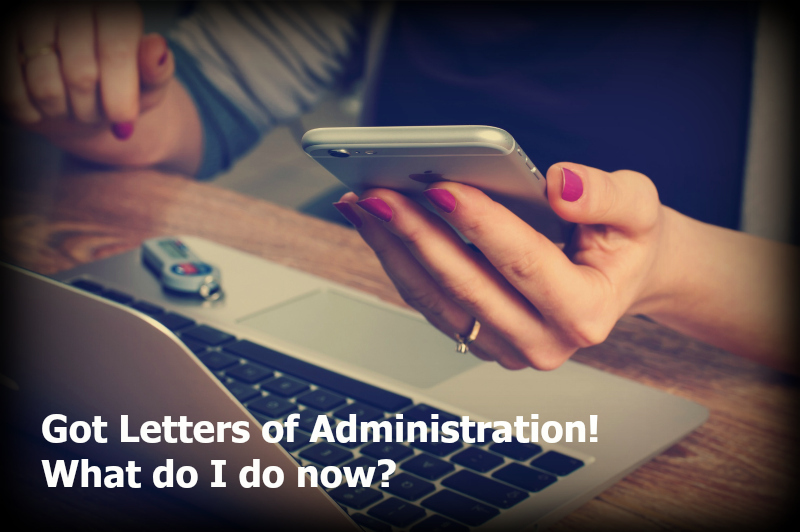 Blog Got Letters of Administration! What now? This is a followup to my previous post on starting Probate in Florida, specifically Formal Administration. The initial push in probate is dedicated to convincing the judge to appoint you as the personal representative (PR) and then issuing Letters of Administration. Now that you’ve got your credentials, it’s time to get to work. Secure a tax identification number (your attorney may do this for you). Open an “estate checking account” if there are cash accounts or assets you must liquidate. You’ll put proceeds in this account. Go through your list of known assets, contact the banks and institutions and confirm the asset values. More detail below. Secure the premises! Change locks if the property is vacant. Ask a neighbor to keep an eye out if you don’t live nearby. Determine if there is an active homeowner’s insurance policy. Approximate the fair market value. An formal appraisal isn’t necessary yet. Determine how much it costs to keep the property current on the mortgage and/or property taxes. Determine account numbers and balances on all other accounts (freeze any accounts you think might be subject to abuse). Confirm with bank if there was a designated beneficiary on the account – if yes, then that asset is not subject to probate. Safety deposit box – Ask attorney to prepare an inventory for you to fill out. Visit the bank and ask to take an inventory of the box. Have bank officer sign the inventory. Cars – Secure them and do not drive them if you’re not personally insured to do so. Find the original title and note whose name(s) is on it. If there is a lienholder, determine monthly payment and total balance due. Creditors – Make a list of all creditors and approximate balances (and determine how long ago the last payment was made). Your attorney will send a notice to these creditors of the probate administration. Contact a tax professional (CPA preferably) about handling the final income tax returns. Keep a very organized list of all assets and creditors – you’re attorney will need this information. Notify your attorney of all discovered assets and creditors. Your attorney has to prepare a formal inventory to be filed with the court within 60 days. Florida Probate law requires that you (via your attorney) to publish a Notice to Creditors if probate was filed within 2 years of the date of death.